Direct investments attracted by the Bahrain Economic Development Board (EDB) has reached a new high of approximately $830 million in 2018, an increase of 13.2 per cent on 2017’s record-breaking achievements. Key accomplishments across a range of sectors – from tourism to real estate to financial services to ICT – contributed to this unprecedented growth, adding 4,772 jobs to the economy with an additional 92 companies calling Bahrain home, said a statement from the organisation. At the heart of this success is the Team Bahrain approach – a solutions-oriented philosophy that fosters deliberate and consistent collaboration between the public and private sectors, it said. In practice, Team Bahrain positions Bahrain’s government to work closely with businesses to create bespoke solutions for investors and entrepreneurs looking to invest in the kingdom. * The launch of the Real Estate Regulatory Authority guided real estate professionals towards industry best practices, ultimately cascading benefits and higher-quality products to consumers and investors. The real estate sector has collaborated closely with the Bahraini government to develop a regulatory framework that promotes transparency, consumer protection, and economic growth. Key legislative changes have supported the development of the digital economy, encouraged experimentation and innovation, and engaged Bahrain’s entrepreneurial workforce. 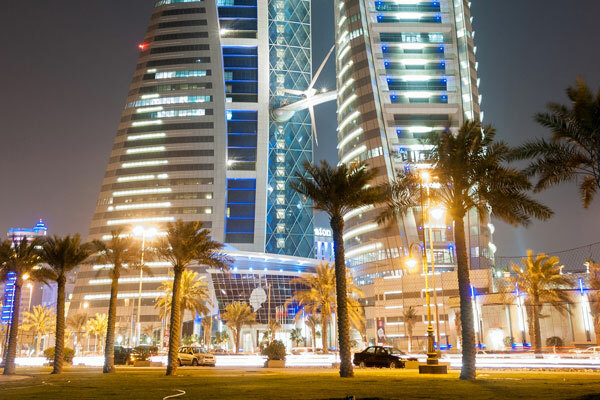 The Personal Data Protection Law, Competition Law, Bankruptcy Law, and Health Insurance Law come as part of the kingdom’s continued push to create opportunities for investors looking to access the $1.5 trillion GCC economy via Bahrain. EDB's public sector partners played a crucial role in making these record achievements possible, it said. Tamkeen, the kingdom’s labour fund, created a Minimum Viable Product funding scheme to enable startups to benefit from a grant towards the development, design and testing of a first product, while the Ministry of Industry, Commerce and Tourism worked to cut the time to process industrial land applications to keep pace with land demand among manufacturers. Team Bahrain’s collective efforts to enhance Bahrain’s business environment has gained global recognition, with Conway’s Site Selection magazine naming Bahrain as the best place to invest per capita in the Middle East and Africa for the third consecutive year. Additionally, and with the support of our partners, Conway listed the EDB as one of the world’s top investment promotion agencies. We were also a recipient of the UN’s Investment Promotion Award which recognises investment promotion agencies who work towards attracting investments that help meet the UN’s Sustainable Development Goals (SDGs).